"Hurt people hurt people." --From the movie "Greenberg"
And just like that I have three days of free and constantly available wifi. The Universe does work in mysterious ways. Maybe the letting go was the key. Duh. Anyway, the need for forgiveness just keeps on coming. I left on a long journey this morning. 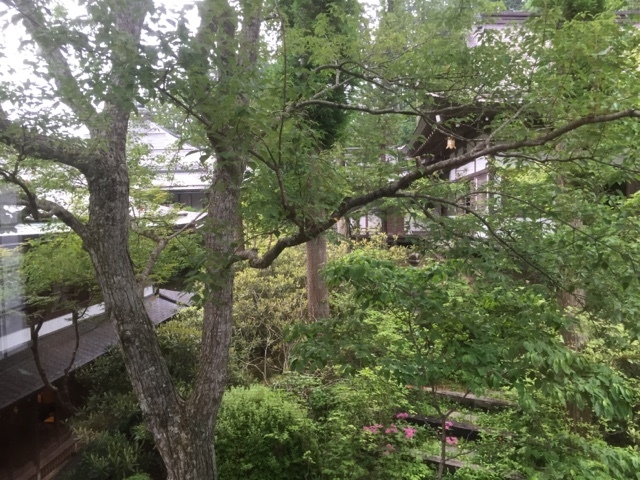 A seven-hour oddessy from Tokyo to Koyasan (Mount Koya) by foot and train and train and subway and train and cable car and bus in a country where I do not speak the language or even recognize the characters of the alphabet. Thankfully English is widely spoken in Japan and Japanese people are inordinately kind and helpful. There was one bump in the road, however, before I even got on the road. I had sort of planned to make the first leg of this journey with some fellow travelers - although nothing was set in stone - and I happened to run into one of them as I was heading up to my hotel room to gather my things and depart. I asked if they were leaving right away, to which they replied, "Yes." "Okay," I said disappointed. This person paused. "Are you ready to go?" I let them off the hook, "That's okay, I have to check my bags..." I trailed off, hoping they might offer to wait. Instead I got, "Sorry!" (in a tone that did not suggest true regret) as they rushed out the door. It felt like they could not get away from me fast enough. I stepped into the waiting elevator and started to cry. It was ridiculous really. I had planned on - looked forward to even - making this journey on my own, but when push came to shove I found I really wanted (needed) a bit of company at the start. As I cried myself out, I felt the anger stirring inside of me. "What a mean thing to do." "And after I have helped them out in the past." Etc. I also remembered fairly quickly that I am in the midst of 30 days of forgiveness and I knew that eventually I would find myself faced with the prospect of forgiving this. I called my husband who listened and supported me and gave me an out - "You don't have to do this you know." I knew, but I also knew I kinda did have to do this for myself. So I splashed some water on my face, grabbed my bags and headed out. I was almost ready to forgive. --I had not directly asked them to wait for me. --I had not made it a point to make a firm plan the night before. --I have a hard time asking for help. --I have been on the other end of that "Sorry!" more times than I would like to admit. How many times have I said it to a homeless person begging for money outside my local grocery store? Probably hundreds. I tried to think about how the same outcome - not waiting for me - could have been okay and I realized that in that moment there may not have been a way. I was tired. I was fragile. I was feeling vulnerable and I just really needed someone to recognize that and help me out. It didn't happen. But I think it could have been less hurtful if this person had been willing to stop for a minute and face me. To say "I'm sorry," with some real feeling behind it. I know what I have to do and I am going to do it tonight. I am also going to try and figure out how to say "I'm sorry" to the homeless people in my neighborhood and to mean it.